What does this mean for you? Here’s a reality check: As a publisher, you’re running ads in an effort to drive better CPMs (and ultimately revenue). While the visitors on your site are probably getting annoyed with too many ads obstructing their journey on your site. God forbid. You wouldn’t want that. This is why, the ad tech companies are always trying to create innovative ad formats. The day-to-day advancements in ad technology is empowering publishers to be able to create impactful ads and leverage intelligent optimization. Big or small, brands love rich media ads. This is because they’re interactive, effective, and deliver better engagement rates. So without getting into paralysis of analysis, let’s take a trip together to discover what rich media ads are and how you can make the most of them. Rich media ads, as the name suggests, are an amalgamation of rich media viz. text, images, audio, video, animations, or others. These ads are dynamic in style and can mould as per the users’ on-screen / on-device movements. The intent is to make ads more interactive and deliver better user experience. In layman language, you can think of rich media ads as one-size-fits-all or one-ad-serves-all solution. Rich media ads are like visualizations brought to life. Try imagining a banner having static background and dynamic foreground behaving as per your on-screen movements. Sounds fascinating? I think so. These are plain vanilla text or image ads. They’re not interactive, i.e., they are static. An upgraded standard ad supports .GIF format at most. These ad file size can be anything up till 200 KB. They’re not compatible with technologies like Java or HTML. Clicks on the ads usually takes users to the advertiser’s page. Ad performance is measured only using the click-through rate (CTR) metric. These ads are audio/video driven and rich in overall appearance. They’re expandable and behave as per user interaction, i.e., they are dynamic. These ads complement flashy games and behaviorally targeted videos. The file size of creatives is usually greater than 200 KB. Clicks on lead may lead to canvas size expansion, floating, or sound; not necessarily just advertiser’s landing page. Ad performance can be measured with multiple metrics for tracking user engagement. HTML5 technology gives publishers the platform to create rich media ads. 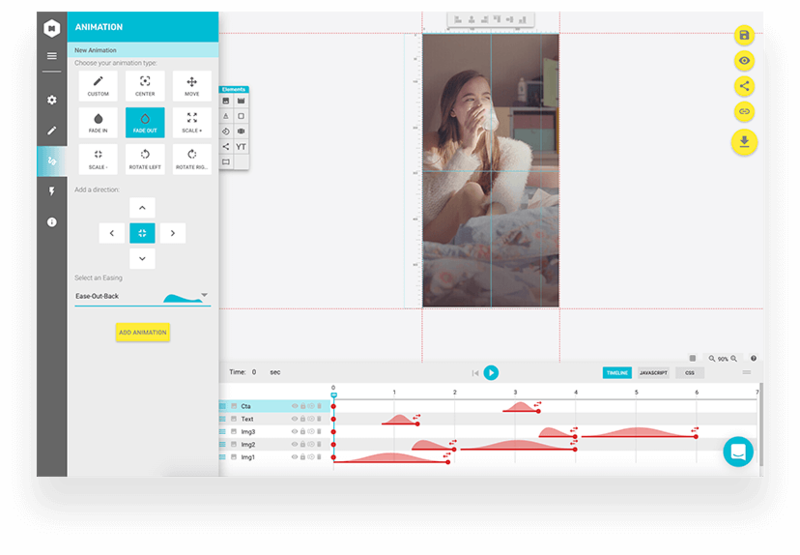 And tools out there allow users to add intriguing elements to them. Here’s some guidance on how to create rich media ads which look fun and playful along with which tools you can use to create them. Tools such as Google Web Designer, Bannersnack, Bannerflow, AdCanvas, MadYourself allow you to develop some nice looking rich media ads. Most of these tools offer free usage to some extent. And some might even help you with readymade templates. If you’re somebody with a knack for design, platforms like Adobe (Animate CC4, Flash Builder) can lend you a helping hand. Likewise, Gimbal is widely-known as a tool for creating mobile specific rich media ads. Choose an HTML5 ad creator to start creating rich media ads. Be ready with media specific for your rich media ads viz. images, frames, graphics, etc. Save files in formats like JPG, PNG, or SWF to keep the file size in control. Add the needful media to your ad creator; whether banner or mobile. Follow the platform’s user interface as it leads you to creating the ads. For the messaging, follow the K.I.S.S. rule aka Keep It Simple, Stupid. If you’re scaling from traditional ads to rich media ads, keep your presentation brand-aligned. Consult a designer or expert to keep the ads visually appealing (basically attractive enough to attract clicks). Keep an eye on file size. You wouldn’t want a big file to increase your page load time. Create different versions if demographics like region, geography, season, language etc. matter to you. Saw an example where I couldn’t help but just say, wow. Rich media ads are sheer beauty and creativity. Plus, they bring in money. Take a look at these popular rich media ad formats and decide which one catches your eye. Ruling at the top (header) of the webpage, banner ads are the most widely used canvas. Banner ads are most likely to be seen because of their above-the-fold factor. As a rich media banner ad, advertisers get the option to convert a static image banner to an appealing motion poster. This is probably an advertisers-and-publishers-favorite-format. Placement: Top front on web and mobile. Characteristics: Spacious, high viewability, less load time, high engagement, high click-through. Placement: Full-screen on web and mobile. Characteristics: Spacious, high performing for mobile, high viewability and yield, $4 to $15 average CPM, better recall, high load time. 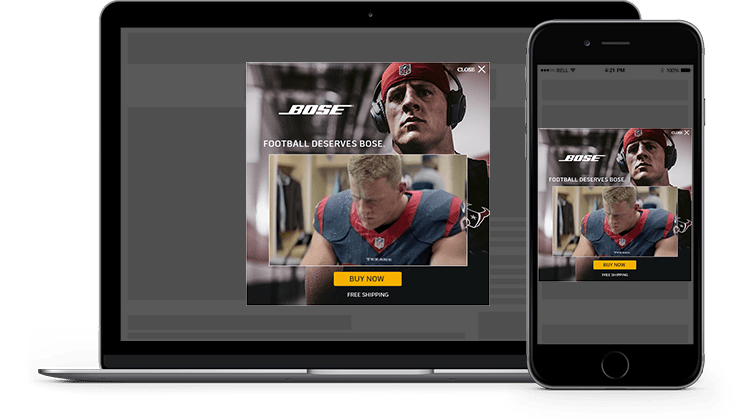 As the name suggests, the multi-directional ads expand automatically as and when user-based triggers happen—hover, click, or tap. Therefore, these ads are the most interesting format to watch till the end, leading to high CPMs and better viewability. Placement: Left (expanding to the right portion of the screen) or right (expanding to the left portion of the screen) on web and mobile. Characteristics: Compelling, high CPM and viewability, low on demand because of newness, high load time due to media filled, high CTR, high engagement, better recall. These ads are not exactly expandable but somewhat similar. The ads are in preview by default and push the content down to expand themselves once user based triggers happen. The good part about these ads are they don’t really hide the content like other overlay ad units. Characteristics: High CPM, high engagement, better recall, medium demand due to newness, high load time due to media filled, resembles leaderboard (728×90). Again, as the name suggests, slider ads move as and when user interacts with the device screen. The slider feature moves along as the page scroll and settles once the page scrolling stops. These ads are usually hosted on .SWF, IMG, or third-party codes. Placement: Bottom right corner of web and mobile. Characteristics: high CTR, high engagement, less disrupting, inventory saving. These are the most established ones. However, the world is a big place. And there’s no limit to getting creatively inclined. Here’s a directory of rich media ads and popular formats publishers can offer on their website. If you’re new, I suggest you start by learning about basic ad formats and see what your users might like. After learning about rich media ads or how to create them, a few questions may starts to arise—why should I go for rich media ads? What can I possibly achieve out of them? Aren’t they too much of an effort? Let me answer one-by-one. And I shall give examples and data to backup my answers. Q1. Why should I go for rich media ads? Simple. For better revenue. If you’ve carefully read through all the rich media ad formats above, you might have noticed that these ads possess the characteristics of delivering high CTRs and CPMs. Moreover, the ads are highly engaging and provide better brand recall. Real life example: Avatar gains 35% higher engagement and audience attention span. Q2. What can I possibly achieve out of rich media ads? 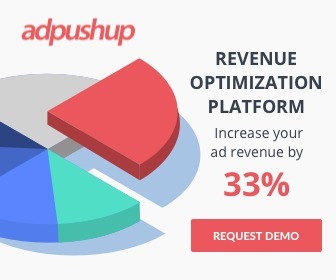 With interactive ads like rich media ads, you may get help to attain high interaction rate, better measurability and scalability with in-depth metrics viz. number of users who viewed the video and percentage of video viewed, brand awareness/recall, and last but not the least, a memorable user experience. Q3. Aren’t they too much of an effort? Of course they are. You might require a significant amount of time for it. Alternatively, if you have a team that works with you, they’ll probably need to broaden the horizon and create some brilliant rich media ads. Because eventually, it’s worth the effort. Interaction rate: The percentage value of users/audience engaging with the ad. Interaction time: The average amount of time users spend engaging with the ad. Display time: The average time for which the ad is displayed on the web page. Dwell rate: The percentage of users seeing specific ads and engaging with those ads through movements like hover, but not ad clicks. Expansion rate: The ratio of ad expansions to the total number of ad impressions (applicable on expandable ad formats). Average view time: The average length of play with the total length of play of video ads. Views and completions: The start and finish rate for video ads (helpful in determining user interest). Pauses, rewinds, mutes, and closes: The tracking of user based events like video pause, rewind, mute, or close (provided by some rich media tracking systems). Custom events: The tracking of events like mouse hover, downloads, or others. Rich media ad click-through rates outperform standard banner ads by 267%. Rich media ad deliver engagement rates of 16.54%, compared to 2.14% with standard ads. The average play time of news and personal finance rich media ads was recorded to be 66.5 seconds and 59.6 seconds respectively. The percentage of in-screen impressions for rich media ads is 66% higher than any other format. Interactive video ads are 32% more memorable than standard/linear video ads. New age publishers are focusing on user experience as much as they care about revenue. This is when rich media ads come into play. Standard ads sell with imagery and graphical representation. Text ads sell with the power of words. Similarly, rich media ads elicit direct user interaction in different ways. Events like ad float, ad expansion, ad sliding, and the rest prompt more user interaction without necessarily overlapping the page content (for which the visitors actually came). 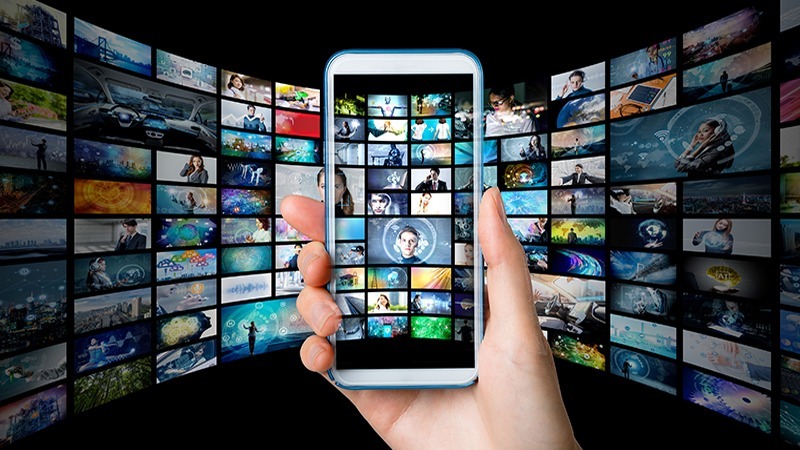 Moreover, as the world is getting drifted towards video form of content, rich media ads are providing in-depth metrics to measure the even most granular data to see performance. Nearly a decade ago when display ads just entered, the average CTR used to be anywhere above or around 5-7%. Over the years, the number has dropped and reached a mere 1% being the standard click-through (or less). Given that, publishers aiming to achieve better click-through and serious brand awareness are shifting to rich media ads. Because current data indicates that by the end of this decade, static ads might not be seen at all.